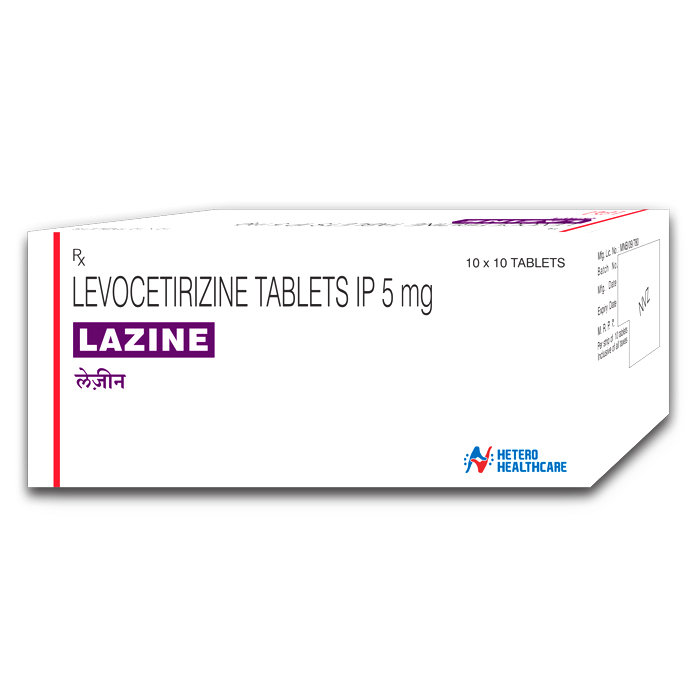 Levocetirizine is 3rd generation anti histamine which blocks H1 receptors in eyes, nose, skin & bronchi. Levocetirizine is highly selective H1 receptor antagonist hence least sedative. Lazine Tablet is used in the treatment of allergy symptoms.